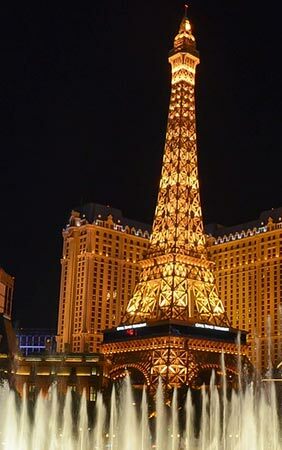 Las Vegas is a city that is undergoing constant evolution. New hotels, resorts, and casinos are opening each year as we say goodbye to iconic hotels in favor of modern and revamped amenities and attractions. 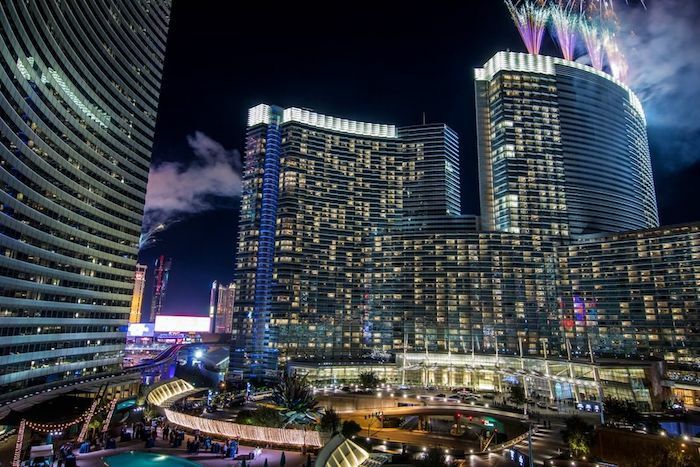 Visiting Sin City is sure to be a new experience every time you go, and 2020 is looking to have many new hotels and resorts entering the seen in Las Vegas. There are several Vegas resorts that are either getting rebranded or in the construction phase right now. Resorts World is currently under construction at the 87-acre site of the former Echelon and Stardust. The integrated resort development is a multi-billion-dollar project with an Asian theme poised to be an international tourist destination. 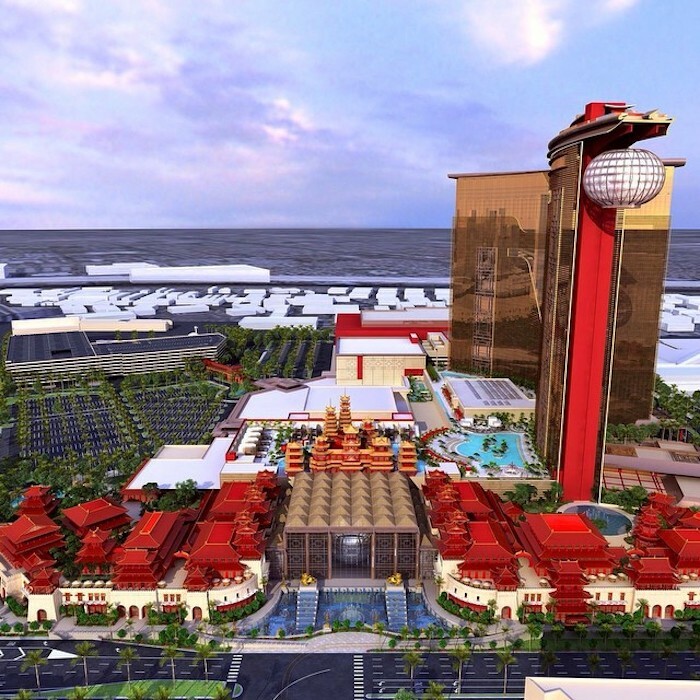 Resorts World Vegas will be adjacent to Wynn Encore and easy walking distance from the Las Vegas Convention Center. Construction of the property is being done in phases and Resorts World is expected to open in 2020 with approximately 3,400 hotel rooms, authentic Chinese restaurants, a casino with more than 100,000 square feet of space, retail and boutique offerings, as well as an exotic club venue. Circa will take up an entire city block. Via Instagram:@circalasvegas. 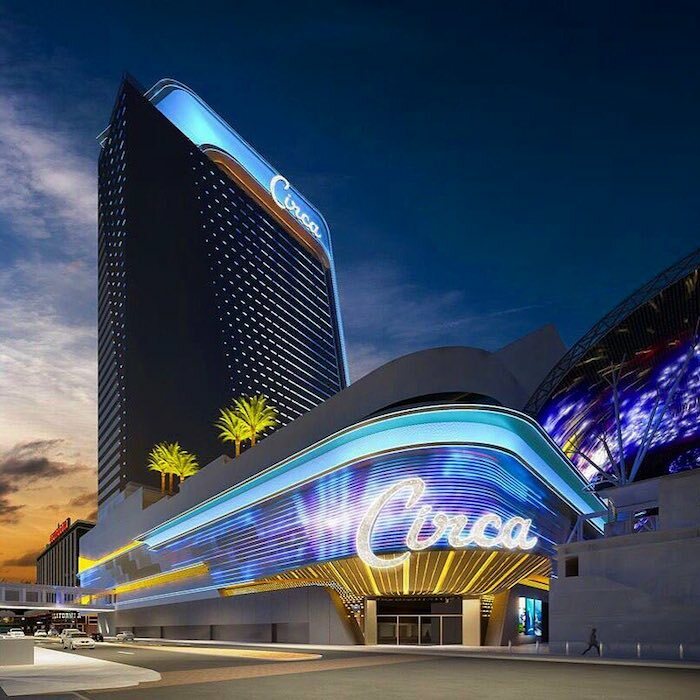 Circa Resort will be downtown Las Vegas newest resort Hotel and Casino in December 2020. The 44-story hotel will stand prominently on Fremont Street and include 777 rooms. Circa will take up an entire city block and is the first all-new build Downtown Las Vegas has seen in more than four decades. 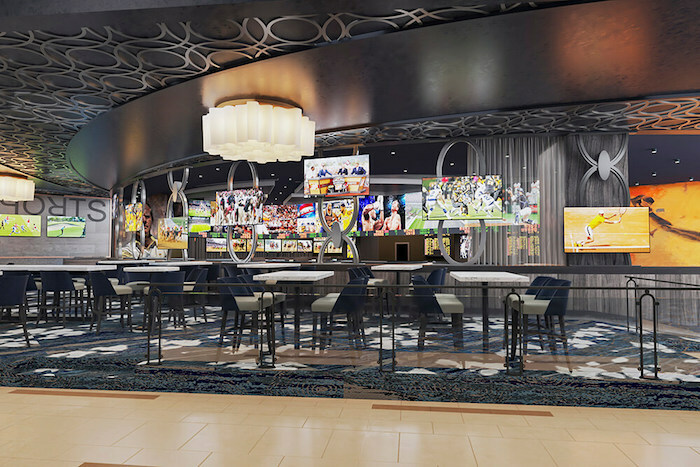 The Stevens Brothers, who also own D Las Vegas on Fremont Street have described Circa Resort as modern and claimed it would have the largest sports book in Las Vegas. Vegas Vickie, an iconic neon sign showgirl that has been a staple in downtown Las Vegas for 20 years, will also be displayed in the hotel lobby. The Drew is undergoing construction, having been rebranded from a previous hotel. Photo credit: Wikipedia. 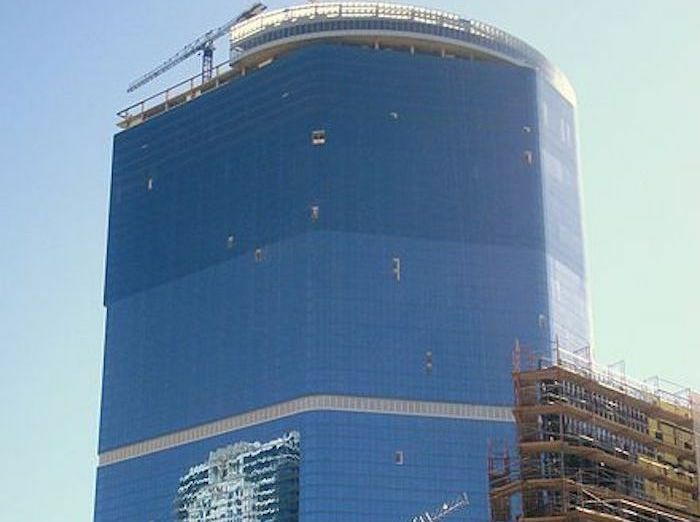 Formerly known as Fontainebleau, The Drew Las Vegas was just revealed as the new name for the blue tinted tower which will be the first JW Marriott hotel on the Las Vegas Strip. Set to open in 2020, The Drew Las Vegas towers more than 60 stories and will feature 4,000 rooms, a casino, and half a million square feet for event and convention space. The Vegas property has undergone a long road of failed plans and bankrupted projects. The Fontainebleau was designed as a multi-billion-dollar resort however the 2008 recession quickly halted the project. The tower was purchased in 2010 but was left almost entirely untouched before being sold in fall of 2018. Current plans include a bridge that will connect The Drew to the nearby Las Vegas Convention Center. The Stratosphere is set to undergo a $140 million renovation and rebranding to become The Strat Hotel, Casino and Skypod by 2020. The upper three levels of the hotel will be rebranded to be named The Skypod and will still feature the rides and entertainment that The Stratosphere is known for. All public spaces are receiving major upgrades including the restaurants (some of these projects are already underway), and hotels rooms will undergo a revamp. The iconic Top of the World Restaurant also has a brand new menu and a sports book, a viewing lounge, and a new bar, Taphouse, will open soon. 2019 will be a year of transition for The Hard Rock Hotel and Casino on the Las Vegas strip. The details of the rebranding were shared in December 2018 and included a renovation that will begin sometime around Labor Day 2019 and contains a four-month complete closure of the hotel in the beginning months of 2020. The new owners, who plan to debut the hotel in late spring of 2020, will rebrand and remodel every inch of the hotel including new hotel rooms, bars, and restaurants. Other upgrades will feature a redesigned pool and complete overhaul of the hotel’s exterior. 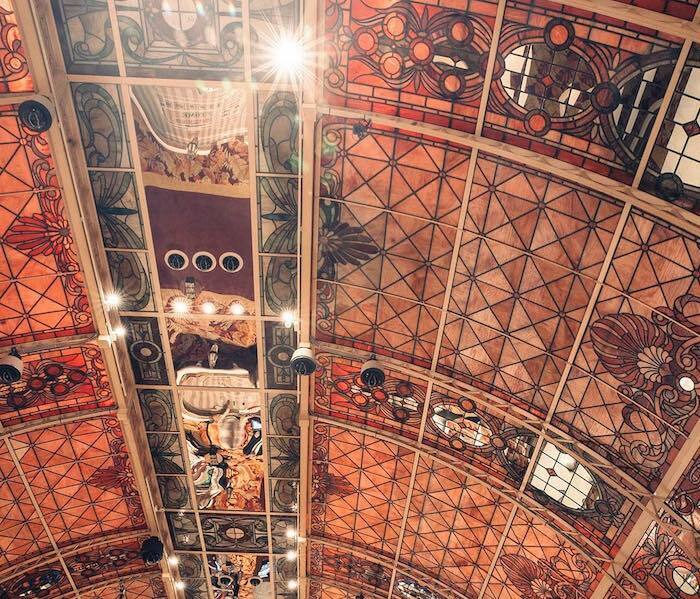 The casino will also be expanded, and event space will be modernized and include state-of-the-art security systems. 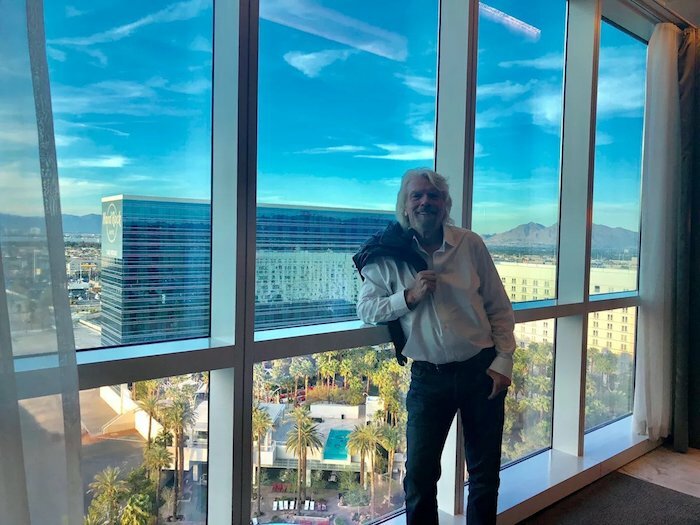 Virgin Hotel Las Vegas is set to be a sports book themed hotel which will also work with local union groups, something very uncommon with other contractors on the Vegas strip but what some are saying is necessary for the future success of hotels and casinos. If you don’t want to wait until 2020 to visit Las Vegas but still want to enjoy the newest and chicest hotels on the strip and downtown, check out these nearly new Las Vegas Hotels that have recently undergone rebranding or renovations. The Monte Carlo was rebranded to Park MGM in May of 2018. The rebranding of the 3,000-room center strip hotel includes NoMad Las Vegas, a boutique hotel with 292 guest rooms. NoMad offers a private swimming pool and casino with the exclusive NoMad Restaurant and Bar encompassing the top four floors of the 360-foot hotel tower. The $550 million project began in 2016 and was finished in late 2018. The LINQ opened in 2014 after a renovation costing $223 million, but the upscale hotel, casino, and retail promenade have a long history on the Las Vegas Strip. The property was first opened in 1959 under the name Flamingo Capri, a boutique hotel located next to Flamingo. In 1971 the property was sold and renovated to include 650 rooms and a new Asian theme. The Imperial Palace opened in 1979 with several more towers added in the 1980s which brought the room total to 2,637. The Imperial Palace was renamed in 2012 to The Quad and then just two years later became The LINQ. The rebranding of the hotel to The LINQ allowed it to join forces with LINQ Promenade, a new, popular open-air retail, and entertainment area. The LINQ also features the High Roller which is the World’s Tallest Observation Wheel and the Fly LINQ zipline. 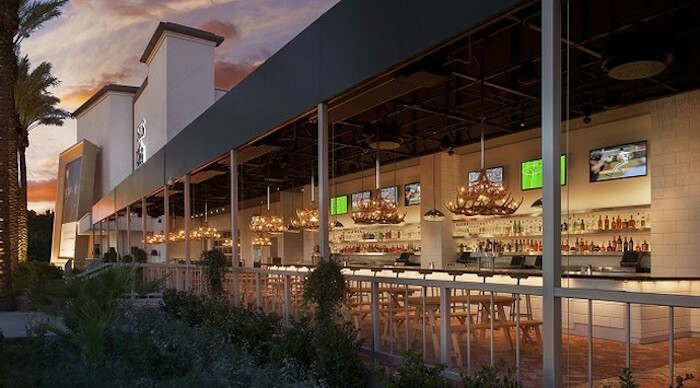 Delano was rebranded from THE hotel in 2014 which took the nongaming hotel with 1,100 rooms and turned it into a luxury style boutique hotel. The $80 million rebranding of the Mandalay Bay Campus hotel from THE Hotel to Delano included a brand new white and airy theme with desert designs in the public spaces marked by the 126,000-pound boulder that forms a passageway to the hotel entrance. Formerly The Sahara, the SLS property was first built in 1952 but was closed in 2011 for a complete, $415 million renovation and rebranding to SLS. 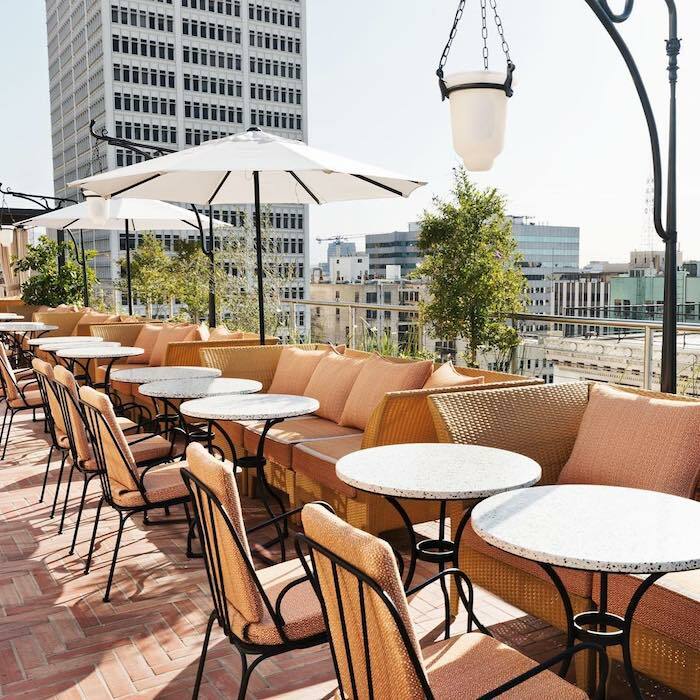 The new hotel opens in summer of 2014 and now features 1,600 guest rooms, four nightclubs, a large casino, several restaurants, and the Fred Segal clothing store. SLS denote Style, Luxury, and Service and rock legend Lenny Kravitz even designed a few of the guestrooms. SLS was purchased in 2018 with plans announced for an upcoming $100 million renovation and another possibly rebrand later this year (2019). 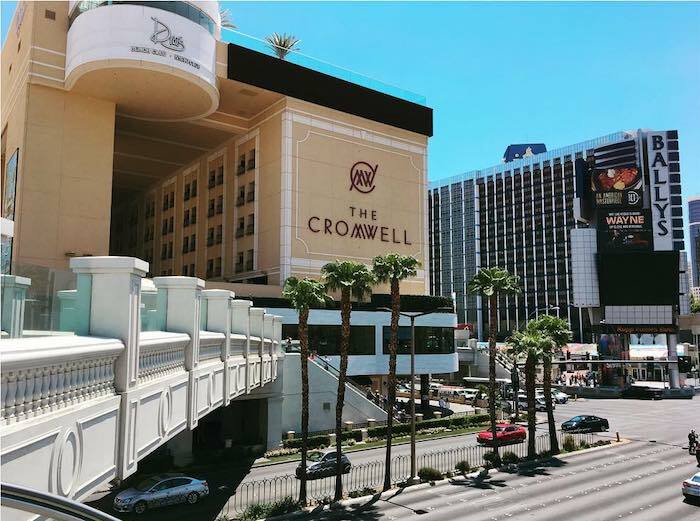 Cromwell was recently rebranded from Bill’s Gamblin’ Hall and Saloon and is now a luxury boutique hotel operated by Caesars Entertainment Corp who invested $185 million into renovations in 2013. Cromwell now features 188 luxury rooms, a casino, and 65,000 square feet rooftop nightclub and a swimming pool. The Cromwell also is home to Giada De Laurentiis first restaurant which is known for its romantic views of the Bellagio Fountains. 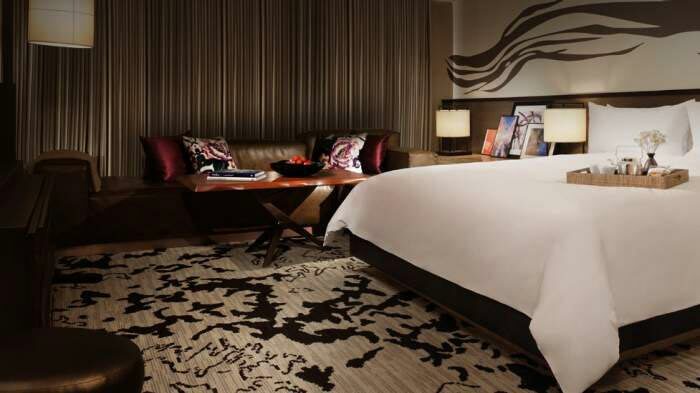 A room at the Nobu Hotel at Caesars Palace Las Vegas, photo via Caesars. Las Vegas was the site of the world’s first Nobu hotel (there are several others around the world now) in 2013. The Nobu Hotel Las Vegas is part of Caesars Palace and is the former Centurion Tower. Nobu is home to only 181 of the 4,000 rooms found at Caesars Palace Resort and features an Asian influenced theme and style with low to the ground furnishings, sleek surfaces, dark woods and leathers, and carpeting that looks as though you’re walking through a zen garden. Nobu restaurant also offers 24-hour service, and each guest is provided complimentary tea service following check-in. Tropicana may be one of the most iconic, and oldest, hotels on Las Vegas Boulevard, but the hotel recently underwent a $165 million renovation in 2017. The property was modernized with 1,467 rooms now eco-friendly and decorated in a Southern Miami Beach style. 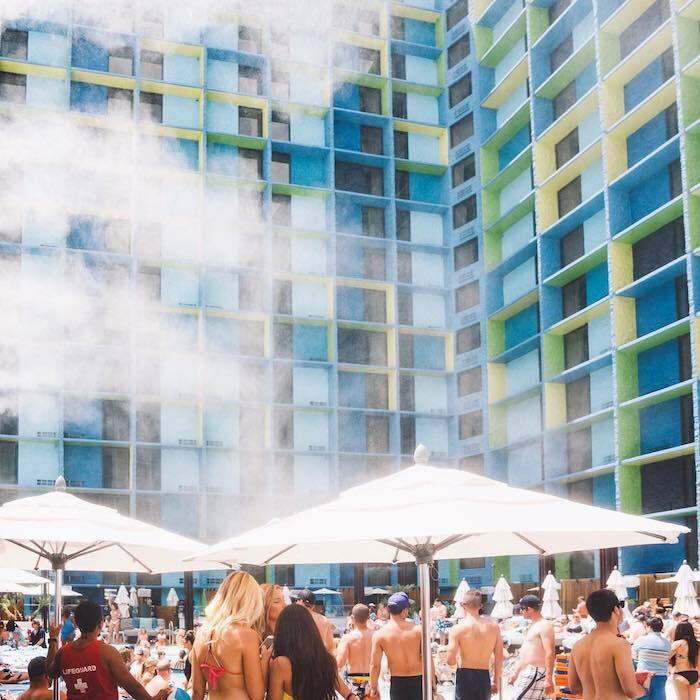 They also stayed true to their reputation of having some of the best pools with the addition of the Sky Beach Club LV which recreates the iconic South Florida beach club vibe. Cosmopolitan in Las Vegas featuring rooms with balconies. 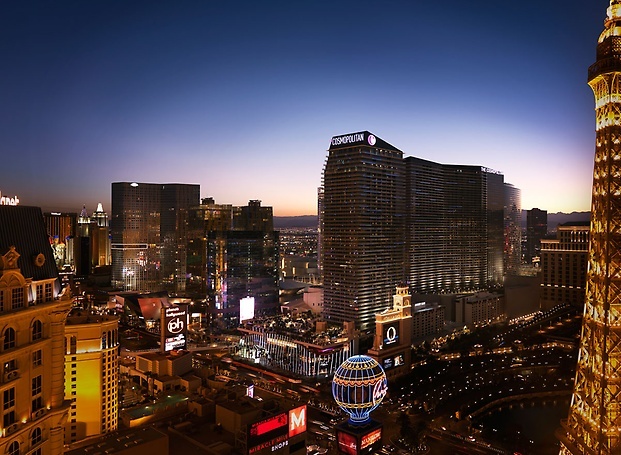 The Cosmopolitan was built in 2010 but remains one of the most famous hotels on the Las Vegas strip named in 2015 as one of the Top Hotels in the World by Conde Nast Traveller. The luxury hotel and casino is comprised of two towers and found just south of Bellagio. There are 3000 luxury rooms total and a state-of-the-art fitness center and spa, 150,000 square feet of convention and meeting space, and 300,000 square feet of dining and retail. The famous Marquee Nightclub and Dayclub are also found at Cosmopolitan, and a brand new nightclub was opened in 2014 called Rose. Rabbit. Lie. This large hotel encompasses 1.6 million square feet and is a condo-hotel and spa located across the strip from Aria Resort and Casino. The enormous complex was opened in 2009 and features tower houses, 1,495 luxury suites, a two-story spa and a 40,000 square foot pool. There is no casino at Vdara, and the entire hotel is smoke-free. Vdara is unique in that artwork is incorporated into its design and aesthetic. Market Café Vdara opened in 2011.